More than 300,000 large trucks are involved in traffic accidents each year in the U.S., according to data from the National Highway Traffic Safety Administration (NHTSA). While nearly 5,000 people die as a result of truck accidents annually in the U.S., tens of thousands of others end up seriously injured after these accidents, possibly leaving them with long-term – if not lifelong – impacts to deal with. Are you wondering how trucking company negligence can contribute to truck accidents? If so, check out these FAQs. Contact us for more info and experienced help. They may be entitled to compensation for their injuries and losses. Trucking companies may be among the negligent parties liable for compensating accident victims. Colorado Springs Truck Accident Lawyer Kenneth Shakeshaft is ready to help injured people with their financial recovery after truck accidents, and he will fight vigorously to help his clients obtain the maximum possible compensation. Taking a closer look at truck accident lawsuits, in this blog series, we will answer some specific questions regarding trucking company negligence in these cases. Although we’ve kept our responses general to facilitate this discussion, Attorney Kenneth Shakeshaft can provide you with more specific answers and professional advice regarding your situation during a free, no obligations initial consultation. Contact our firm today to set up this meeting. Q – What is trucking company negligence? Complying with all applicable state and federal trucking regulations. So, when trucking companies violate such duties, they can be considered to have been negligent; when this negligence contributes to truck accidents, the negligent companies (and possibly others) can be accountable for compensating the people injured in these accidents. Q – How do I know if trucking company negligence contributed to my accident and injuries? A – By contacting us for a free case evaluation. The fact of the matter is that a lot of contributing factors can be involved in causing truck accidents and knowing when or how trucking company negligence may have been involved can require a professional assessment of a given accident. The failure of major truck components (like tires or brakes) prior to the accident. Here, it’s also important to point out that, in many cases, it will take deeper digging to find out when trucking company negligence has arisen. So, it’s best to consult with an attorney if you believe any negligence (other than your own) caused your truck accident. 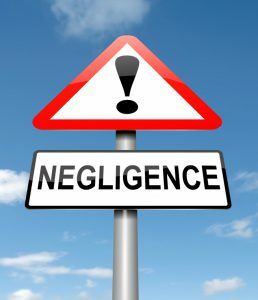 To get some more important answers regarding trucking company negligence after traffic accidents, be sure to check out the additional parts of this blog series. They’ll be published soon. Have you or a loved one been hurt in a truck accident? If so, Colorado Springs Truck Accident Attorney Kenneth Shakeshaft is ready to advocate your rights, help you recover financially and ultimately help you put your life back together. To talk about your case and learn more about how Attorney Kenneth Shakeshaft can help you, schedule a free initial consultation with him today by calling (719) 635-5886 or (800) 383-5886. You can also email our firm using the contact form on this page. We don’t get paid unless or until you get paid, so you have nothing to lose and everything to gain by contacting us today.